Today, Sony has debuted the first trailer for Lord and Miller's animated Spider-Man film, starring Miles Morales and very possibly some other Spider heroes along the way. Into the Spider Verse will be in theatres Christmas 2018, and will star Miles Morales in what the promo material is calling a "fresh vision of a different Spider-Man universe." 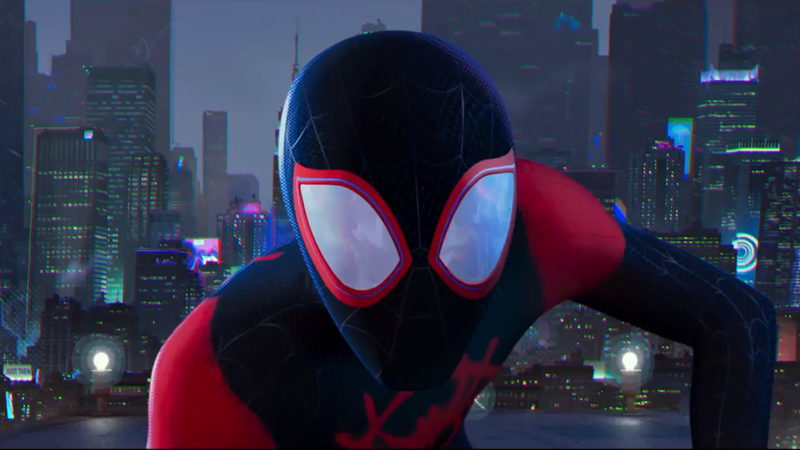 The elegant visual design of the trailer, with its realistic CGI environments and wiry, acrobatic Miles Morales, certainly feels fresh. The trailer doesn't contain much except for a showcase of Miles being an excellent young Spider-Man, though it continues Black Panther's fine tradition of soundtracking Marvel trailers with Vince Staples. The film will star Shameik Moore as the voice of Miles Morales, with Oscar-winner Mahershala Ali (Moonlight) voicing his father, Jefferson Davis, and actor Brian Tyree Henry (Atlanta) voicing Miles's uncle, Aaron Davis, aka The Prowler. Watch the trailer below. This is officially the Marvel movie I'm most excited for. The chattery stop-motion animation effect they'ye got going on is an interesting choice. Kind of looks like it could have come out of Laika. This looks absolutely beautiful. Even if the film ends up sucking (which I highly doubt considering Marvel and Spiderman's track record) this will still be a visual marvel to behold. Amazing use of lighting, use of cross-hatching & stippling for shadows... it really does look like a living comic-book. Hopefully this movie keeps Miles' character but not his OP moveset, as I know some people who dislike him because of it (being able to turn invisible and knock out any individual with a touch).